Last Friday, Alexandra earned All American status at the NCAA Division III Track and Field Championships held at Marietta College in Ohio. This was one of her attempts to make 12 foot 10 and 1/4 inches. She didn't make that height, but only three of the competitors vaulted higher than Alex's top height of 12 foot 6 and 1/4 inches. Alex place seventh based on misses. I am very proud of her accomplishment. As a footnote, Alex also qualified for NCAA championship in the 400 meter run with a time of 56.83 seconds. 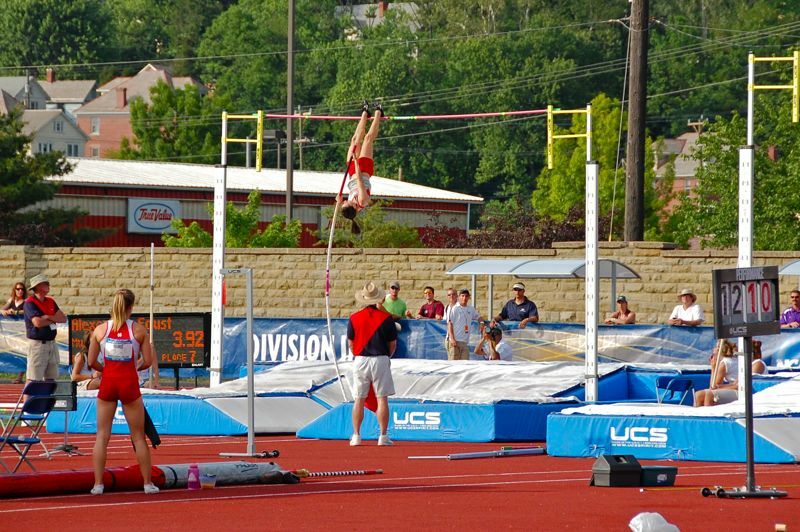 She did not run the event because she was pole vaulting at the same time. She was not disappointed to miss the grueling run.